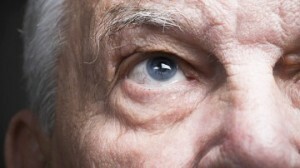 Age-related macular degeneration (ARMD) is the leading cause of vision loss in people 60 years of age and older. There are two forms of ARMD: dry and wet. The dry form is usually very slowly progressive and only causes significant central vision loss in 20% of people who have the diagnosis. 80% will not experience significant vision loss. The wet form is more aggressive and even more serious. If left untreated, 80% of people with the diagnosis will experience significant central vision loss. It is important to note that the dry form may convert to the more serious wet form. The cause of ARMD is not known, but there are several risk factors to consider. The following risk factors are controllable: high blood pressure, high cholesterol, obesity, smoking, and unprotected sun exposure. The following risk factors are not controllable: advanced age (over 60), family history, gender (women more likely than men), and race (most common in caucasians). 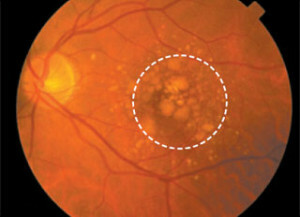 Macular Degeneration treatment has different options depending on the type and stage of ARMD. See below for these options. Studies show that there is no effective treatment for early dry ARMD, but fortunately vision loss is least likely in this stage. If it reaches the intermediate stage, there is evidence to show that taking high-dose supplements (eye vitamins) that contain zinc, lutein, zeaxanthin, and other anti-oxidants can reduce one’s risk for ARMD progressing to the advanced stage, where most vision loss occurs. Wet ARMD requires immediate treatment that may involve injections, laser surgery, or photodynamic therapy. Wet ARMD is a public health problem that if left unchecked can have a devastating effect on the quality of life of patients. This relatively new treatment has become the standard of care for treating wet ARMD. 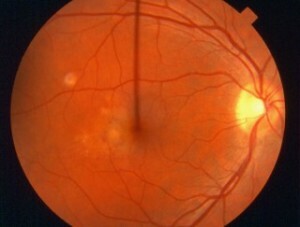 It involves injecting a drug into the eye to block the growth of the leaking, abnormal new blood vessels that cause vision loss. This treatment can slow vision loss, and even improve sight in some cases. Dr. Dieter Hertzog has performed over 3,000 of these types of injections and is now performing this treatment in-office. If you suspect that your ARMD is getting worse (that is, your central vision is becoming distorted, blurry, or hazy, please call us so we can determine if any treatment is necessary. The earlier ARMD is detected at any stage, the earlier treatment can start, and the better the prognosis is to save vision. An annual dilated eye exam can detect early macular changes and the patient can be educated on their risk factors. Appropriate steps can then be taken to reduce the risk of future vision loss. What Is The Best Day / Time To Reach You?